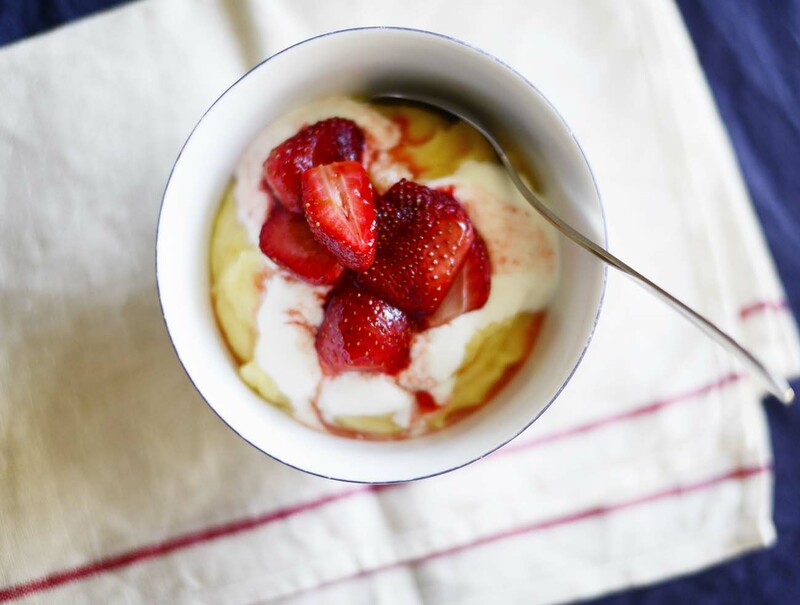 In this recipe, instant polenta cooks into a smooth, rich, satisfying bowl of porridge in minutes flat. You can experiment with different toppings: try slivered dry figs and toasted nuts if you’re short on time or a rhubarb compote if you’ve a little to spare. For the strawberries, preheat grill (broiler) to medium and arrange the shelves about 15 centimetres from the element. Prepare a slide tray with baking paper. 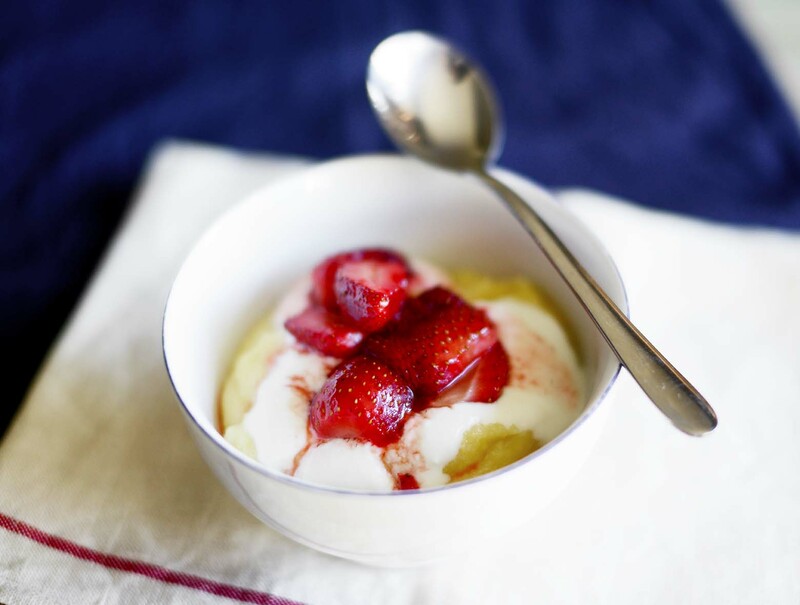 Mix honey and vanilla in a small bowl and toss the strawberries in the mixture. 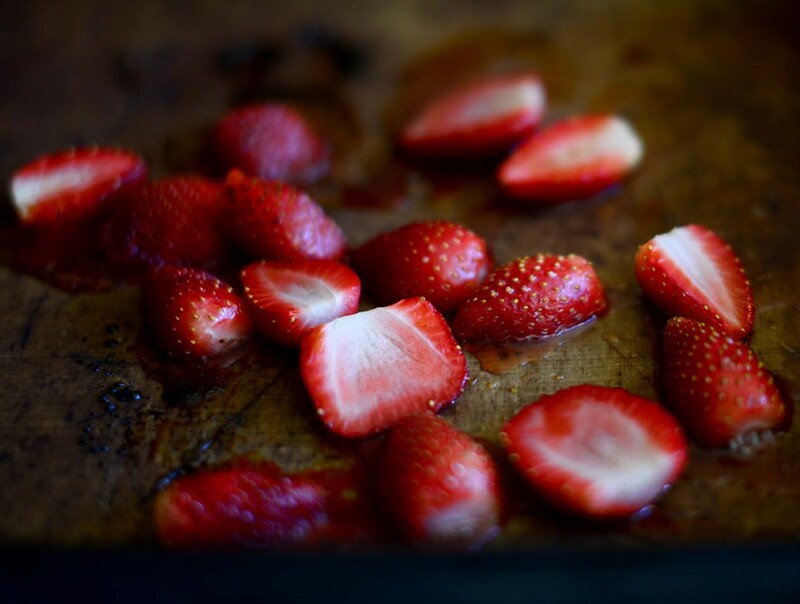 Arrange on the prepped slide tray, using a spatula to drizzle all the honey over the strawberries. Grill for 5 to 8 minutes, tossing midway, or until the juices are bubbling. Set aside and keep warm. For the polenta, bring 3 cups of water to the boil in a large, heavy based sauce pan. Using a wire balloon whisk, whisk constantly as you add the polenta in a slow, even stream (this stops it from clumping). Turn the heat down to low and cook, stirring constantly with a wooden spoon, for about 3 minutes or until the polenta is thick and tender. Remove the pan from the heat and add the milk, butter, zest and salt. Divide the polenta between 4 warm bowls immediately- it will begin to set if left to sit. Add a spoonful of yoghurt to each and top with the strawberries and a drizzle of honey, if desired.